This GORGEOUS wiggle dress would be perfect for a cocktail party or any dressy occasion! 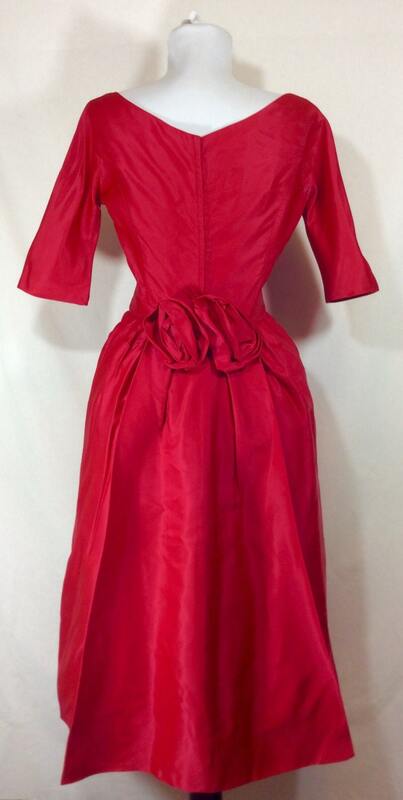 The dress was Union Made in the USA during the early 1960s. There is no size indicated, but it would best fit a modern US women’s size 4. Please see measurements below to gurantee fit. The dress has some beautiful details in the back such as fabric roses that covers the end of the zipper, and a really pretty cascading bustle on the backside. The fit and flare silhouette is very flattering and shows off the female form. 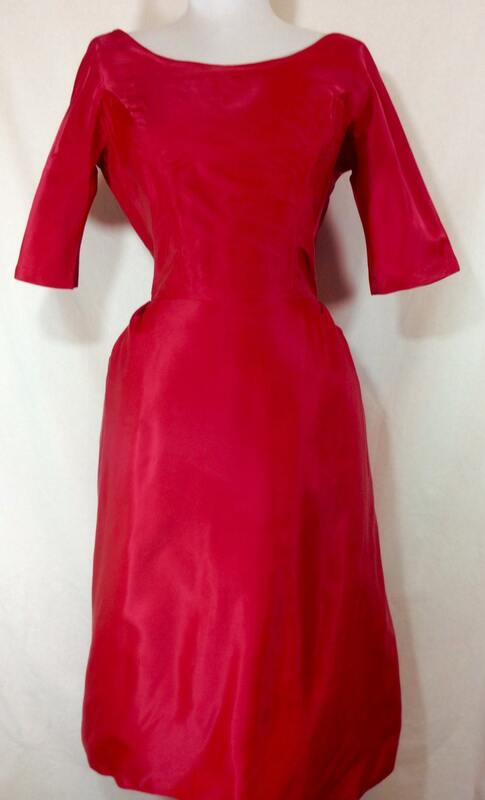 The satin-feel fabric is a bright magenta pink color and does not have any stretch. There is a layer of white tool lining the inside of the skirt. 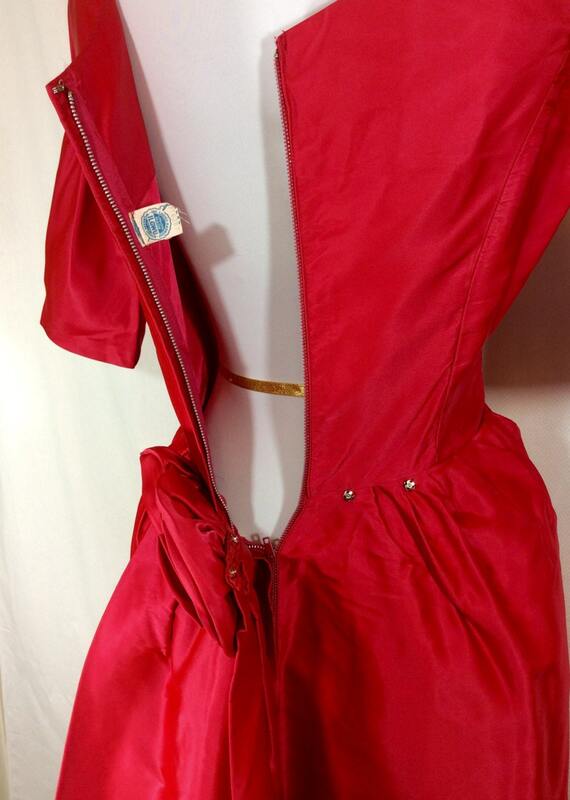 An 18 inch long metal zipper runs down the back that closes with a hook and eye. 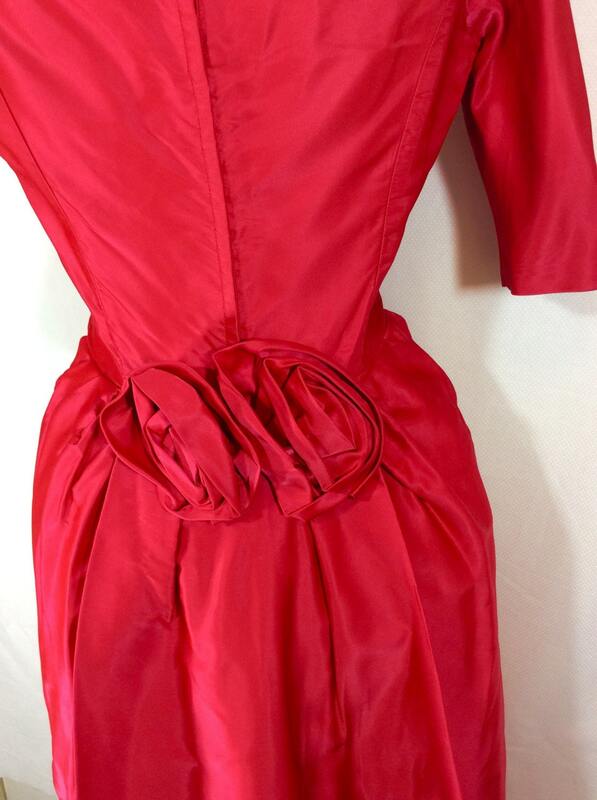 This dress is in excellent vintage condition and was stored in a smoke-free environment.